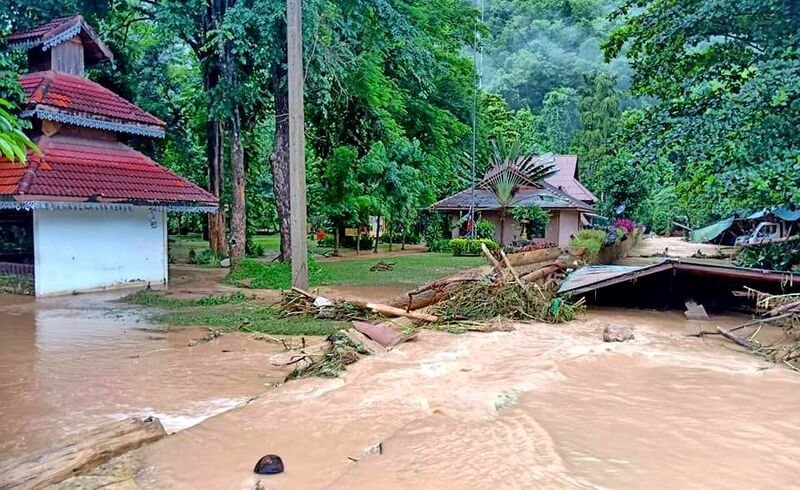 Pattaya was inundated with two hours of unseasonal and sudden rain yesterday late morning-early afternoon, the result of a random ‘summer storm’ system that dumped heavy, localised rain on the seaside resort. The rains started at about 11am and continued for two hours, leaving many roads under water and impassable. The roadside drains struggled to get rid of the rainfall and roads were deluged with floodwaters up to 1.5 meters deep. Several busy sections of road were impassable to most vehicles. 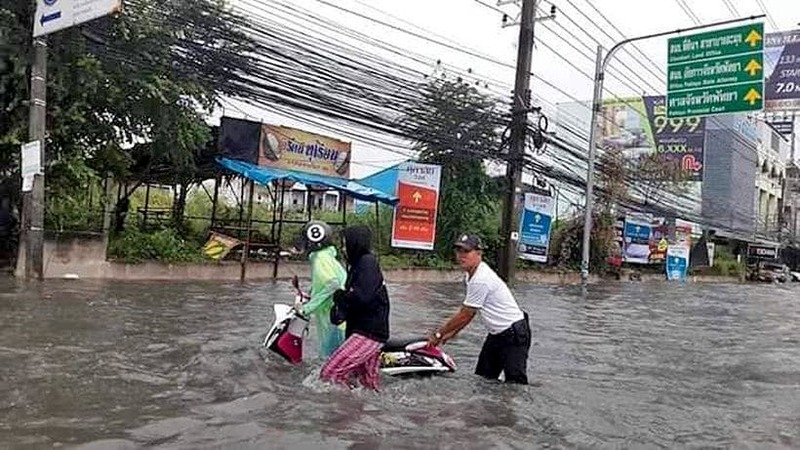 Sukhumvit Road, the main arterial running north-south through Pattaya, was under water up to a metre deep in places making it impassable for cars and impossible for motorcycles. 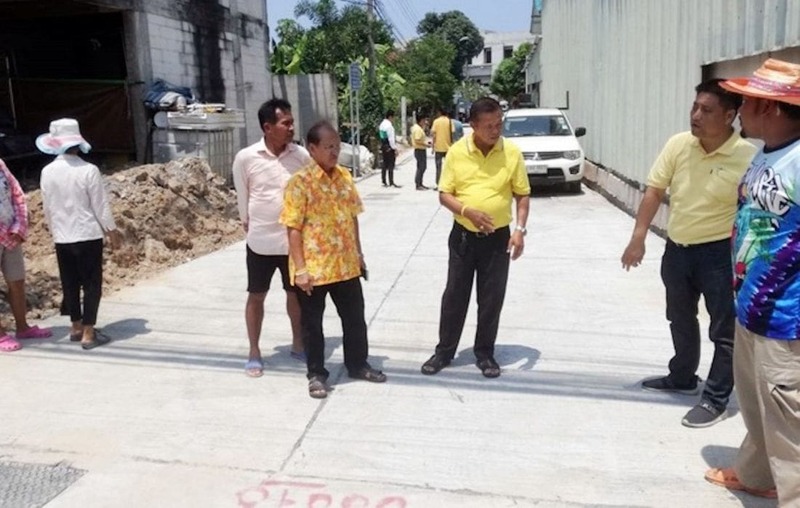 Pattaya city officials set up barricades to prevent brave motorists from attempting the flooded sections of roads after several cars broke down in the middle of deep water. 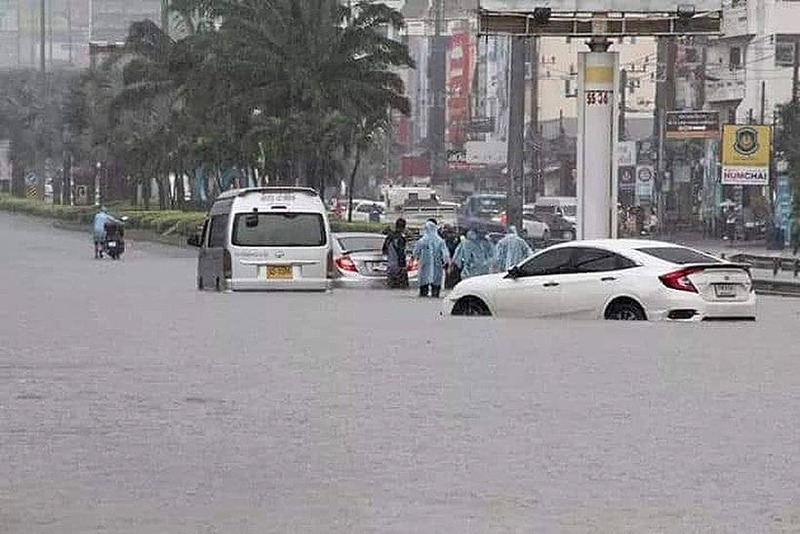 Several roads in the heart of Pattaya were under 30-50cm of water, including Pattaya 3 Road, Soi Bua Khao and Pattaya Beach Road. 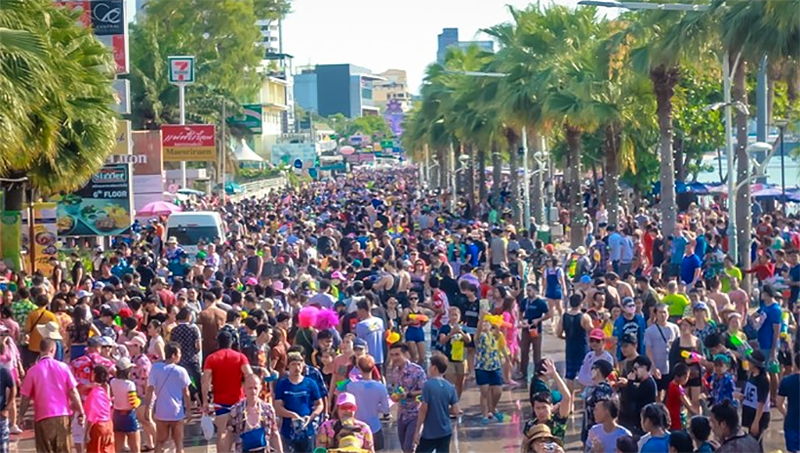 Run-off from the floods, taking all the build up of dust and muck from the roads, flowed out into the Gulf and will discolour the waters off Pattaya for the next few days.